For use with Tennsco Electronic Workbenches. 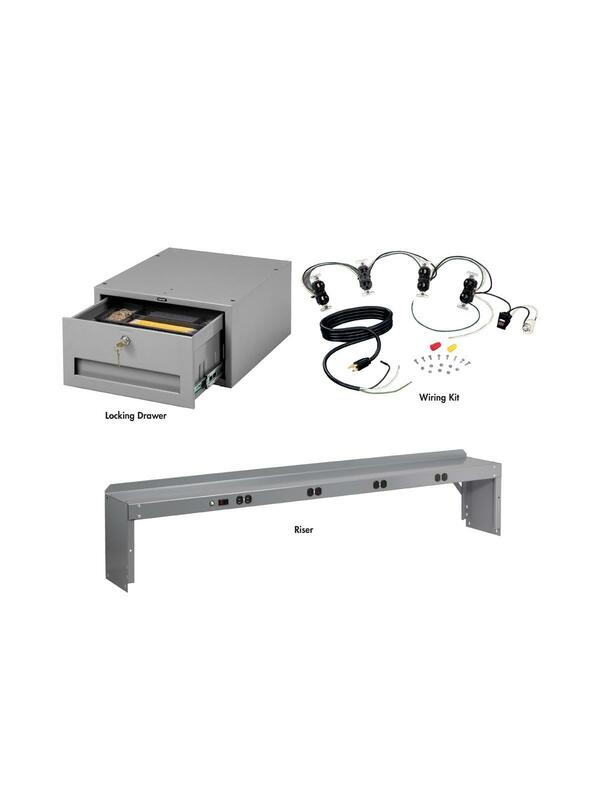 Locking Drawer Steel drawer operates smoothly on ball bearing rollers. Units can be bolted together for additional storage. Drawer is equipped with adjustable divider and a removable tray. Medium Gray. FOB Shipping Point. Pre-wired for quick and easy installation. Comes complete with 4 duplex receptacles, on/off switch with pilot light, 8" grounded cord and plug, 15 amp, 115V service and circuit breaker. For use in workbenches and risers. 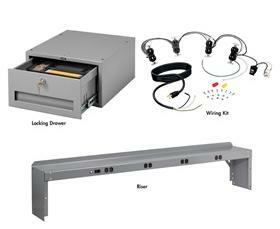 Adds storage for tools and testing equipment. Riser is 16 ga. steel with a load rating of 200 lbs., evenly distributed. Riser has knockouts for 4 duplex outlets and a switch (order wiring kit separately). Medium Gray. FOB Shipping Point. Riser 72"W. x 10-1/2"D. x 12"H.